COMMENT | Pakatan Harapan grand poobah, Dr Mahathir Mohamad when referring to the mid-term review of the 11th Malaysia Plan (RMK11) said that while the bumiputera agenda was still the focus, the Harapan regime would launch programmes to uplift ethnic minorities. In particular, he claimed that specific groups within the Chinese and Indian communities would be targeted for uplifting, in line with this Bangsa Malaysia nonsense. Notice how when it comes to these so-called uplifting programmes, “specific groups” within the Chinese and Indian communities are targeted but when it comes to the bumiputera agenda, no such distinctions are made? I mean, it is not as though the government is targeting certain groups within the bumiputera community, right? By specific groups, I take it to mean “poor” people, in whatever economic or social definition the government of the day comes up with. And why not just say, that the government is going to help poor Malaysians instead of these grand pronouncements of targeting specific groups in a particular community and the bumiputera agenda? I always assumed that a poor person is poor person, regardless of race and gender. This is not entirely true. Gender and race, of course, plays a part in a capitalist system. I am sympathetic when fellow Malaysiakini columnist Nathaniel Tan writes that a poor Malay has more in common with a poor Chinese than either have with a rich Malay, but I would argue that a poor Malay often has it worse than a poor Chinese or Indian. Think about this for a minute. A poor Malay has to work against the very system that purports to champion his or her race. Some jobs you can’t take because of it goes against your religious dogma and if you work in such places, the religious authorities come cracking down on you and this means certain establishments don’t want the hassle of employing you. Then, of course, there are all these syariah compliant measures, which the average non-Malay does not have to contend with. If you are a poor Malay woman, it is worse. More so, if you are divorced. The system is not going to go after your husband for child support but it is going to go after you if you engage in professions deemed immoral. Your children may get an education in one of those religious schools, which indoctrinates them, and what you are left with is envy that the “other” races in Malaysia are enjoying themselves while your community is hurting. Meanwhile, all those rich Malays who are most probably politically connected or are the beneficiaries of post-1969 affirmative action policies have to deal with the scorn of the other races, who have had to work very hard for their success. The so-called Malay middle class borne out of quota system and preferential economic treatment meanwhile has to contend with a self-sustaining non-Malay middle class, which advocates leaving the country for better treatment. Non-Malays have to build their own educational establishments because public universities do not have a place for them. They have to start up businesses which in order to succeed most have to have political connections. The system creates its resentments which serve the political elites of this country, Malay and non-Malay. 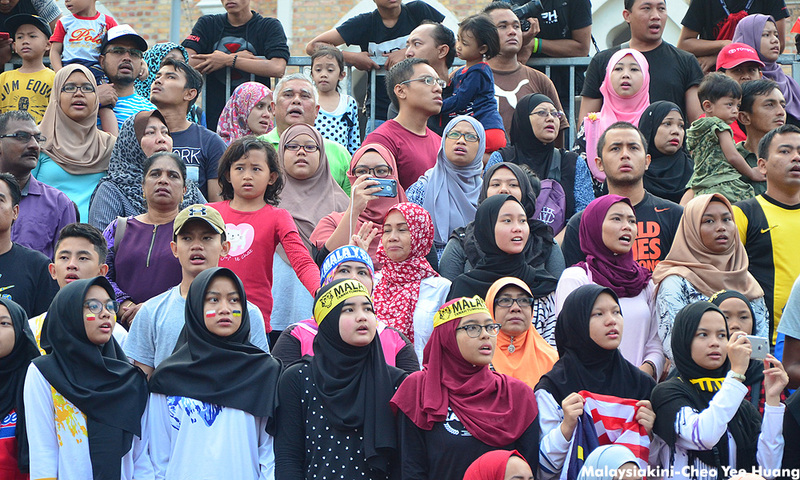 The non-Malays treat the political system as a luxury because they are not dependent on it. No non-Malay political structure is not going to advocate on their behalf because this would inconvenience their Malay partners. So they talk about “class-based” solutions but the reality is that they are saying nothing new in terms of advocating an egalitarian system. Is so difficult to say that the government for the people and by the people is going to look after the nation’s poorest citizens regardless of race? I mean when Housing and Local Government Minister Zuraida Kamaruddin said that bumiputera quotas will be reviewed - "Basically, the people will be assessed based on their income and not race; if we set the affordable homes for only those earning RM3,000 and below, we will use the guideline regardless of religion and race" – did the world end? A Malay friend of mine who is a big-ish player in the property market said, finally some sanity from the government. I mean each state has apparently its own quotas and state governments operate like cartels when it comes to affordable housing for the poor. Apparently depending on the political climate, they change the quota system without consulting the stakeholders. The prime minister said “there shouldn't be too wide a gap between the rich and the poor, between one race and another”, but the reality is that a poor non-Malay is not going to feel envious that another non-Malay is richer or better off. What they are going to do is try to work the system to get to that better-off position. This, of course, comes from the fact that they are not dependent on the system but realise the benefits – economic – of working the system. Meanwhile, a poor Malay is going to be pissed off that the system which is supposed to be working for him, enriches the other races when the facts point to the ruling Malay political class which is getting fat feeding from the system. Nobody wants class warfare especially within the Malay community when a racial clash based on the inequalities of the system which disadvantages the very people it is supposed to champion, is a more convenient outcome for a political class intoxicated by pecuniary corruption and narcotised by religious imperatives. So the prime minister is wrong. Blame it on the old conservative in me, but the true meaning of development is not its contribution to a construct like Bangsa Malaysia, but rather when every Malaysian regardless of race is not dependent on big government.